Sheds do not come much more impressive than the incredible, 10′ x 6′ Shed-Plus Champion Heavy Duty Reverse Apex Single Door Shed. This manages to offer a very generous amount of storage space, but at the same time it will be able to fit into more, compact sized gardens. It has a great look thanks to that smoothed timber which has been used for construction. While the shed has a whole lot of floor space for you to make use of, it also has a very high roof to make walking around in the shed comfortable. Included are two windows, both of which can be opened to allow fresh air inside. 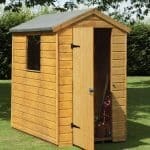 The single door is wide and high enough to allow you to bring even large items inside the shed without any major hassle. To back up the good looks, this shed is made with some very high quality materials. 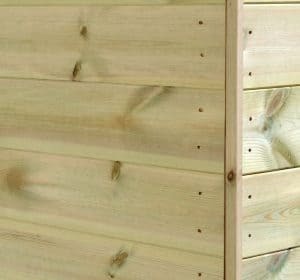 Tongue and groove shiplap cladding is used for the walls and even the floor and roof are made from tongue and groove boards to really make sure things inside of here are kept safe and secure. To make certain that this is something which is going to be able to be used for many years, the wood has been put through a very intense pressure treatment process. The 10′ x 6′ Shed-Plus Champion Heavy Duty Reverse Apex Single Door Shed is a structure that really does catch your eye from afar. The reason this shed has such an eye catching appearance is because the wood has been smoothed to give it a really slick and smart look. Of course looks aren’t everything and thankfully this shed has a great amount of storage space also. The width is where most of the floor space is as it is a very impressive 9 feet 11 inches. The depth is 6 feet which in itself is quite impressive also. The Champion line of shed have elevated eaves so even at the lowest part of the shed there is 6 feet 5 inches of headroom. Along the ridge there is a phenomenal, 8 feet 4 inches of height making this one of the most comfortable sheds to walk around in we have come across in quite some time. 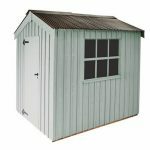 We just love the roofs on the Champion sheds from Shed-Plus and this one is no exception. The first line of defence against the rain is some very heavy duty, 20 kg mineral felt. Underneath this are 12 mm tongue and groove boards which are very strong and will be able to handle the heaviest snow fall. We already mentioned up above how the wood has been smoothed and we are very happy to tell you that as well as looking fantastic, the 12 mm thick tongue and groove shiplap cladding is going to make sure nothing gets ruined by the rain. Shed-Plus use this type of cladding because it really is a triple threat in that it offers protection, looks great and will also last many years. Behind that amazing looking cladding is one very impressive frame that is going to ensure this shed stays robust for many years to come. This frame is 34 mm x 35 mm and like the rest of the shed is made from pressure treated wood. 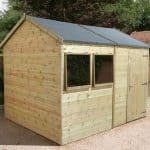 Shed-Plus though have used cross braces on the end panels to offer even more stability and sturdiness to the shed. The flooring of the shed is so strong that this could easily be used as a workshop where you have a whole bunch of heavy equipment and tools. Walking around in here is going to feel very nice as the floor is made up from 12 mm thick tongue and groove boards. 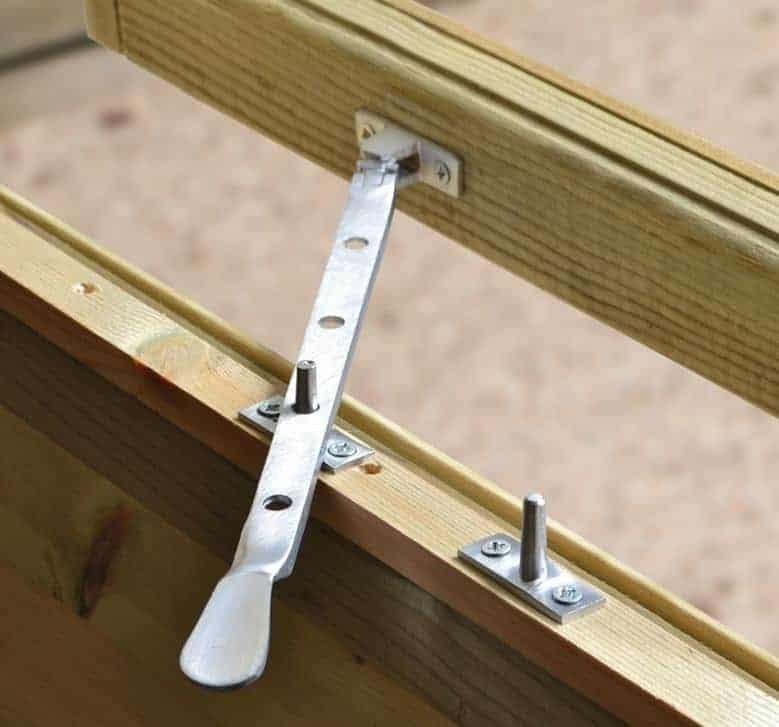 To make the floor really be able to take a lot of weight, Shed-Plus have used pressure treated floor joists to protect and also add stability to the floor. One of the things we really like about this line of sheds is how all the wood is pressure treated before it is sent to you. 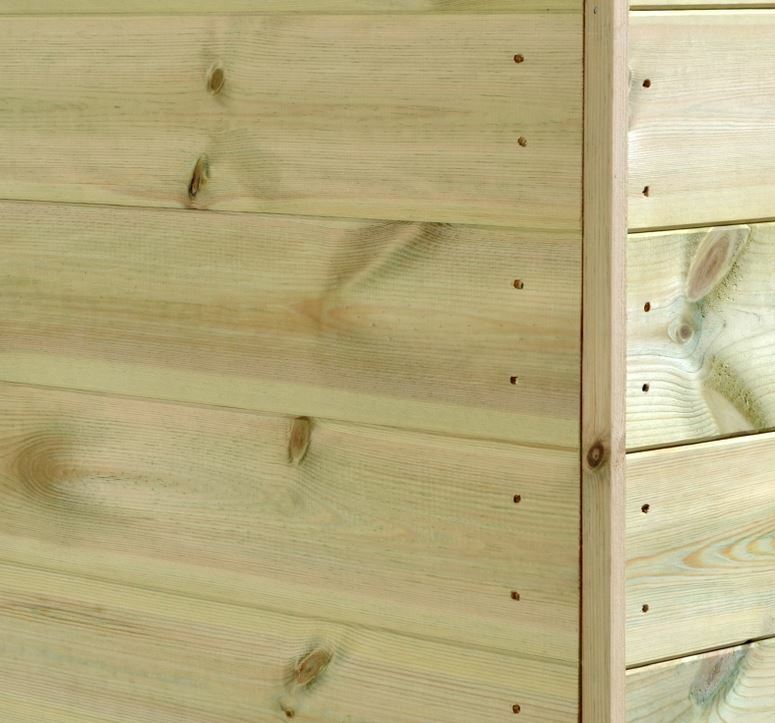 This really does give the shed the best possible start to its new life in your garden. We still do recommend that you give the shed a coating of wood treatment to help it stay looking fantastic. 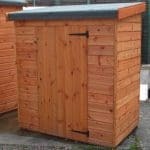 You get a 15 year guarantee with this shed which covers you against rot and decay. The reason for this is because of the pressure treatment process the wood goes through. Shed-Plus use a great door on this shed. It is very strong thanks to being ledged and braced as well as being kept securely in place thanks to some very strong hinges. On the back of the door there is a little bit of extra framing to prevent the door from warping or even sagging over the years. Getting yourself and items in and out of here is not going to be any kind of hassle as the door is 5 feet 11 inches high and 2 feet 11 inches wide. Once you have finished being impressed by that smooth looking cladding, we are sure the next thing you will notice are those two large windows located right on the front. These are positioned in a way that they will allow for a lot of natural light and fresh air to get into the shed. These windows are comprised of toughened glass and both of them can be opened. 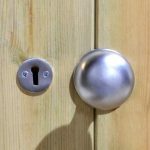 To provide the 10′ x 6′ Shed-Plus Champion Heavy Duty Reverse Apex Single Door Shed with a lot of security, Shed-Plus have put a proper lock on the door. 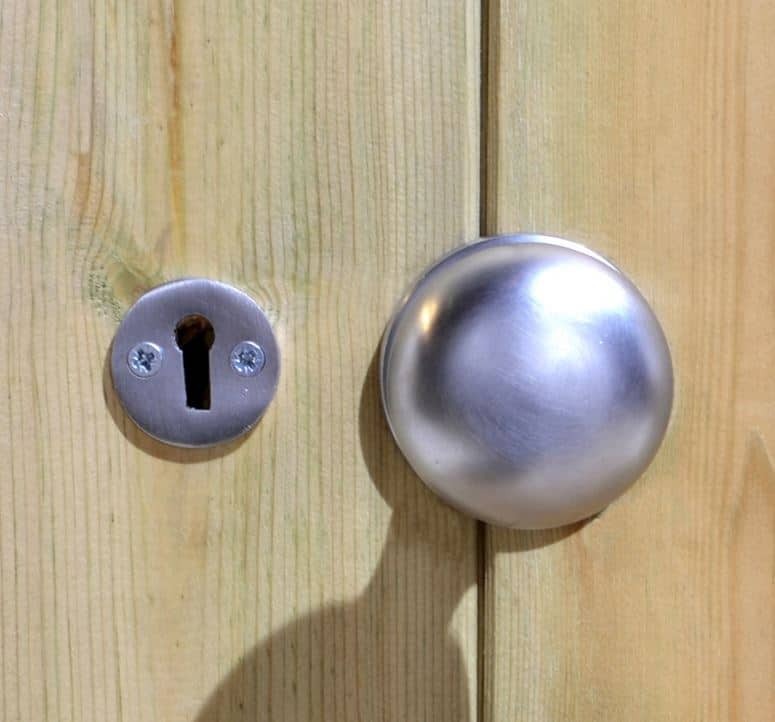 This comes with a key so at night and while you are away from home, you can keep everything locked away. With those two large windows being right on the front of the shed it is very easy to look inside of here. We do know that privacy is a concern for some people and one thing that will solve this problem is a simple set of curtains or some blinds. This is a rare occurrence where we actually think the shed looks amazing as it is and it does not require any tinkering with, but we know some of you do like to put your own touch on things. One way to give the shed a bit of your personality is by painting it with a wood treatment that is coloured. Shed-Plus offer do have a few extras for you to think about. First of all if DIY is something you try to avoid like the plague then they do offer an installation service for a cost of, £109.00. 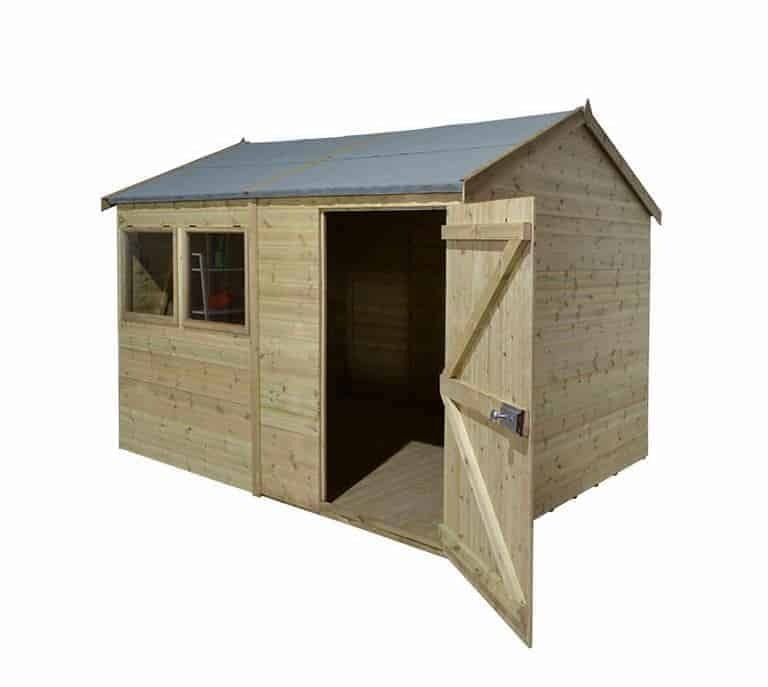 For those of you planning on doing some DIY inside of here then they do actually have a workbench that goes with this shed and that can be added for an extra, £79.99. Last of all we have the very impressive, slatted roof. This looks incredible, but it is very pricy at, £249.99. This is one of the most impressive line of sheds out there and the quality of this one really is quite incredible. 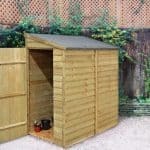 The fact that they give you a 15 year guarantee with the shed lets you know right away that this is something which is going to last many years. While a little bit of care is required by you, doing so will result in the shed lasting you for as long as you need it to. Not only does this have all the floor space you need, but the extra height of the shed means you can stack things up high as well. This is a rather large shed so you and a friend are going to take around 2-4 hours to build it. Of course if you do go for their installation service then you can just relax while they do it for you. 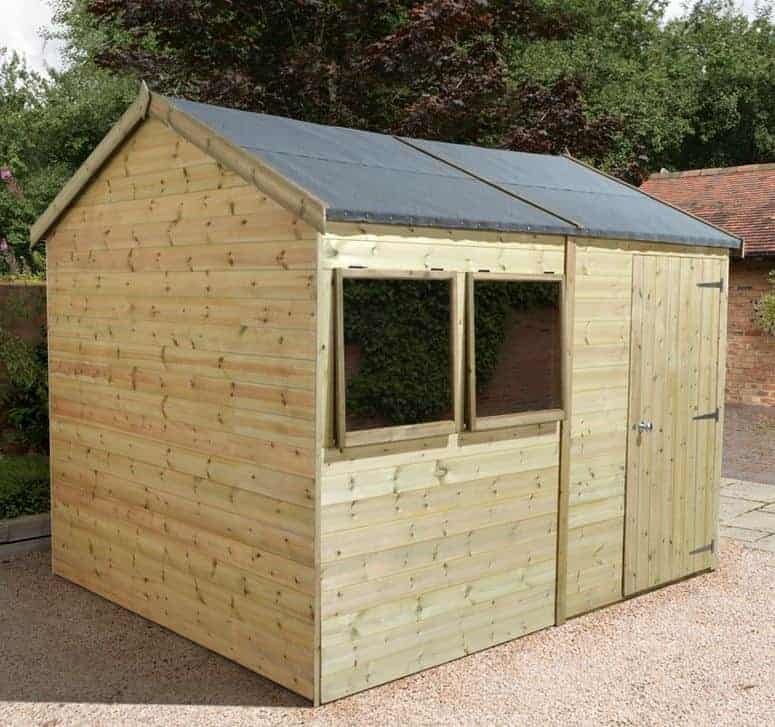 £729.99 is not a small amount of money, but with the shed being as gorgeous as it is and also being very high quality, we do feel this is very good value for money. Final Thoughts: We are very impressed with how the 10' x 6' Shed-Plus Champion Heavy Duty Reverse Apex Single Door Shed manages to offer just an amazing look and also be just so incredibly robust. 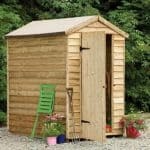 We feel that this really is a shed which would be ideal for any style of garden and work just as well as a workshop as it does as a place for storage. The materials used here have been chosen very well and as a result the shed is going to last you easily at least 20 years. We have seen a lot of sheds over the last few years and we can honestly say that this one here has set the bar very high for the next one we check out. This is something we are very happy to recommend and are sure you will be even more happy when it is standing in your garden.